We integrate your inventory with PartsTrader allowing for more quotes in a fraction of the time. OnPart works with Pinnacle Professional, Hollander and other yard management system inventories. 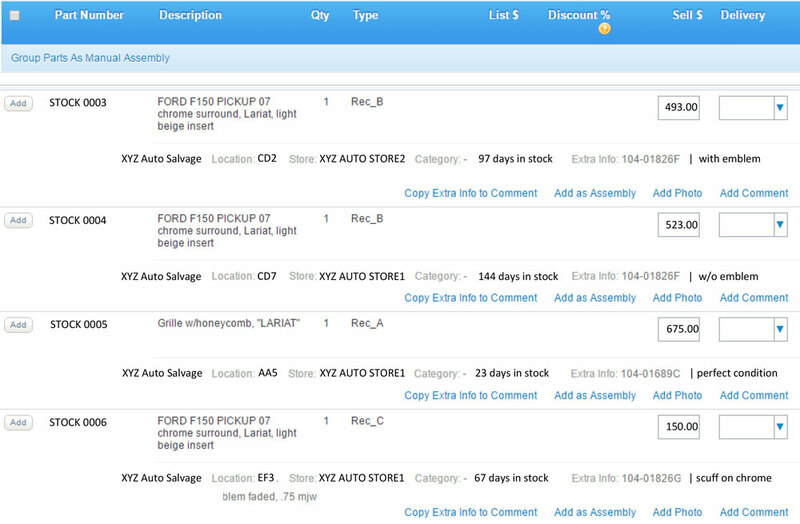 View important inventory information right on the quoting screen. Pricing, part condition, days in stock, yard location, stock number & more!